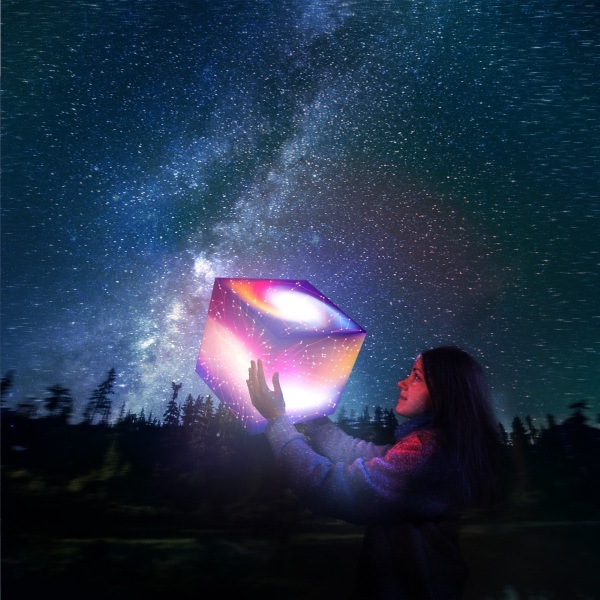 The lamp is a cube, 30x30x30 cm. It’s made from polyester film with a waterproof print. From a distance, it looks like a nebula with a bright white center and magenta and turquoise swirls with little yellow stars throughout. Much pretty. Very space. Wow. Upon closer inspection, the flecks that look like stars are actually the constellations. Most people can probably name the Big Dipper, Little Dipper, and Orion’s Belt (thanks MIB!) but beyond that, the night sky is a mystery. 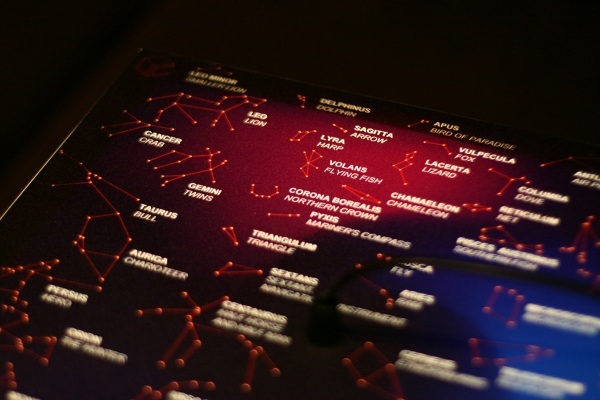 This lamp has the constellations labeled on its top on the sides are decorated with large representations of them so you know what to look for in the night sky. The cord comes out of the top. The Know Your Stars lamp is €65.